Nothing beats the morning smell of crispy fried bacon! – get some pork on your fork. 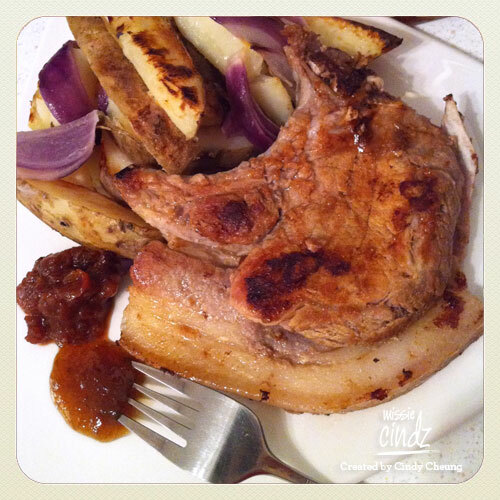 Flame grilled pork chops served with homemade potatoe wedges. Yum! It’s a fact. I love pork! Whether it’s a pork chop, sweet and sour pork, pork sausages, hot pork sandwich or just pork dumplings – stick a bit of pork on my fork and I’ll eat it! Don’t forget British Sausage Week kicks off on 31st October 2011. Does anyone have any banged up plans in honour of the humble banger? I know a lot of you are thinking that it would be nice to have something esoteric and inventive to cook, but ultimately, you reckon you’lll be eating bangers and mash…and lots of it! but don’t fret, I’m currently designing and putting together some delicious sausage-enticed recipes, keep a look out for these on my food blog in the next coming weeks. It’ll be good this week to support British pig farmers bringing us the best tasting pork in the world! 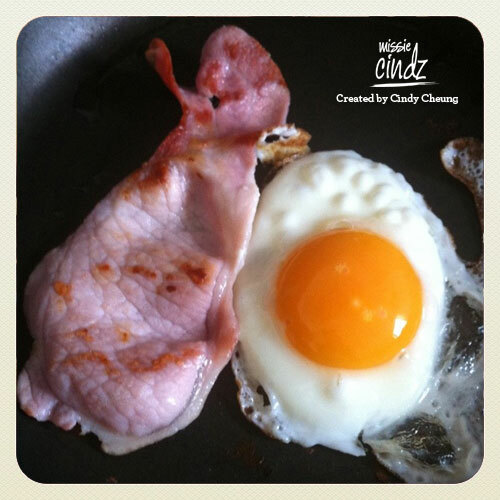 If anyone has any favourite pork dishes to share, please email me your tasty recipes, these don’t necessarily need to be sausage-related and I will happily design your emailed pork recipe as a ‘Missie Cindz porky recipe cards’ (a PDF download) . The cards will be great to share with other meat enthusiasts and followers or to just cook up during #BritishSausageWeek? The quickest way to find great quality-assured pork is to look for the Red Tractor Pork logo. Love Pork website inform us that it carries identical high standards to the Quality Standard Mark and not only represents pork and pork products, but any food or drink that meets the Red Tractor quality-assured standards – so try to buy decent British pork whenever you can and help support your UK farmer. Farmer & butcher with local award winning sausages and pork products that are Made in Sheffield. You’ll be able to find Moss Valley’s pork on the menus in Sheffield from places such as The Old House – City Centre, The Devonshire Cat – City Centre, The York – Broomhill, Totley Deli – Totley contact: 0114 2364 238 , PJ taste – City Centre, Homemade Café – Nether Edge, Bar & Grill – City Centre and many more places…pop over to their website “Find our products” section to find out more food gems that sell Moss Valley meats. Sheffield’s National Award Winning Dairy ice cream. Visit their ice cream Parlor and enjoy the deluxe range that’s only available up at their farm shop in Dungworth, Sheffield. Offering a wide selection of pork products from Bradfield Meats – Crawshaw Farm and Gerty’s Pork. John Crawshaws is Sheffield and South Yorkshire’s award winning family butcher. Supplying the finest quality pork and sausages (plus beef and lamb too) through its retail outlets and to the retail and catering trade. To find out where you’ll be able to pick up a few of John’s bangers to pop over to their website or tweet them and I’m sure someone will help. Or if you fancy a trip to Castle Market you could go to R & J Quality Butchers or Slattery’s Butchers Ltd. Whirlow Farm Shop also sell tasty porky goods, for those on the other side of town. Plus it’s Sheffield’s Bradfield Farmers Market this Saturday (22nd October, runs from 10 am to 4pm) – a monthly farmers market showcasing the best in local, seasonal and artisan produced food/drink and I know there’ll be some wholesome pork meat to pick up from there! Keep a look out for the recipes cards…and finally, this month I’ll also be planning the next Missie Cindz Pudding Club in The Rutland Arms – a special Christmas themed one. Our last Pudding Club was amazing! so I’d hate you to miss out on a spoon and not be able to join us.